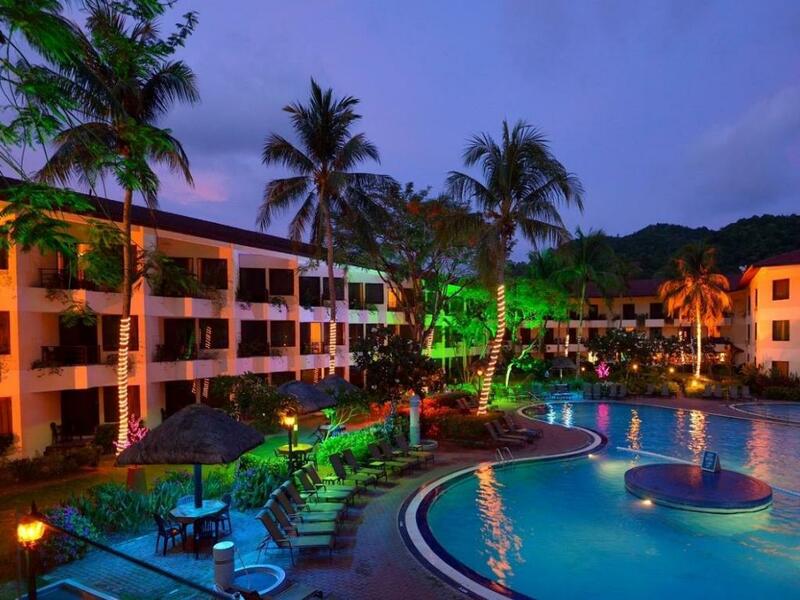 This upscale beachfront resort is overlooking the Strait of Malacca and located 15 minutes away from Langkawi International airport, on one of Langkawi’s best beaches. A perfect place to relax and bask in the sun. 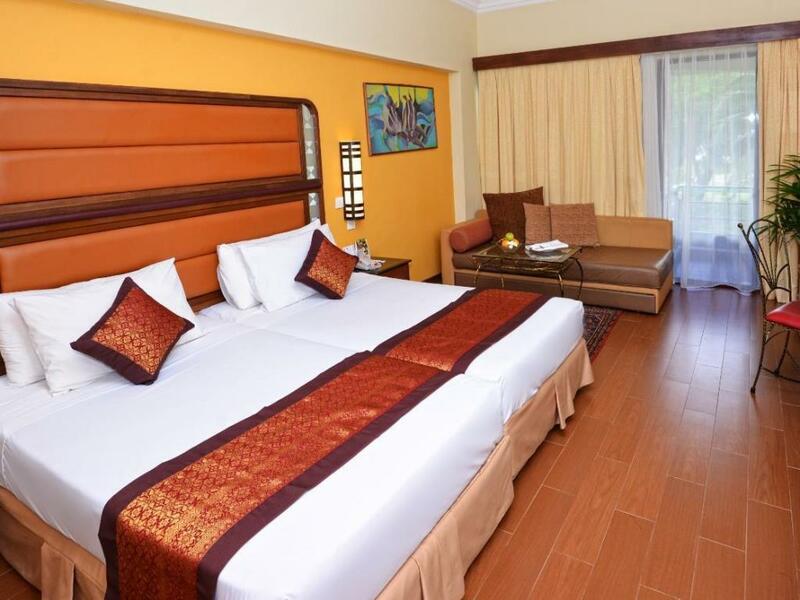 Featuring balconies with pool or sea views, the airy, colorful rooms offer free Wi-Fi, flat-screen TVs, sitting areas, and tea and coffee making facilities. Suites add living/dining rooms, while upgraded suites include panoramic sea views, 2 bedrooms and/or offices with PCs. Room service is offered 24/7. There’s a 24-hour International restaurant, a colorful lounge and a beachfront bar. Amenities include sports facilities, a woman’s indoor pool and beach access. An outdoor pool and a hot tub are available. A spa and a swanky club with an infinity pool (fee) are on-site.